At first at didn’t miss England at all. Quite the opposite in fact. For almost six and a half years I was happily engulfed by alternating waves of relief that I’d left (excuse me: fled) and contentment at my new (chaotic, often unfeasible and unexpected) Roman life. Then about a year and a half ago I was struck by a bolt(s) of missing. The list is predictable and clichéd I’m afraid: lawns like green baize, orderly queues, doors held open, brusque but cheery Goodmornings and Pardon mes, The Royal Mail, London Underground, John Lewis, BBC, ironic asides, Hackney cabs, well swept pavements, The Guardian Newspaper, eccentric and slightly inappropriate clothing, women going to work on the bus with damp hair. And the food! I was almost overwhelmed by waves of longing for glorious British food. Food that I’d spurned – somewhat disdainfully – in favour of glorious Italian food. But that’s another paragraph. The problem with the missing was two-fold. First there was the missing itself – which felt a little like the hollow yawn in your stomach when you’re hungry or a persistent nagging sensation that something’s wrong – and then there were the comparisons that inevitably accompany ‘missing’. Now I think you know how much I truly, madly, deeply like my adopted city, but that period of missing and comparison was bloody hard. Longing for green lawns made Rome seem parched. Nostalgia for orderly queues accentuated the apparent inability of Romans to form any sort of even vaguely civil line. The metro seemed infuriatingly inefficient and Italian TV shockingly deficient. I felt exasperated by Taxis, bad service, triple parking, litter strewn public spaces, lack of irony, the postal service, doors in my face and obsessive dedication to blow-drying. ‘Maybe it’s a sign you should go back‘ suggested a Roman acquaintance I shouldn’t have bothered confiding in. An acquaintance who then took umbrage at my suggestion Romans lack a sense of irony before proving my point by launching into a diatribe about cervicale and the merits of of blow-drying. ‘Maybe it’s because you’ve really decided to stay?‘ Suggested another, wiser Roman friend. She was right, the missing struck at exactly the same time circumstances in my life: an unexpected job with nice prospects at Teatro Verde, my writing, a man, confirmation of my official residenza in Rome and a half Italian baby growing inside me collided with my truly, madly, deeply. It was clear I was going to stay. Of course it wasn’t quite as simple as that. But nearly. I’d been back countless times during the previous six years but that trip back about eighteen months ago, a trip full of missing, longing, a baby and guided by the words of my friend was different. I spent two weeks in England. Fourteen days in which I very consciously sought out and savored all the things I pined for: soft green lawns, orderly queues, even pavements, high quality costume drama, dirty low-brow comedy, The British Museum, Baker St station, Regents Park, Bloomsbury, Kew Gardens, Tate Modern, Propers pubs, Daunt Books and Boots the chemist. And I ate, for two: smoked fish, pork pies, icy white celery, Neals yard cheese, Sunday lunch, watercress, fruit fools, horseradish sauce, custard tarts, gooseberries, back bacon, pork chops, and cheeky fat sausages, raspberries, clotted cream, english peas and afternoon teas. Then still acting on good advice from a my friend, I started noticing the things I didn’t miss about England – another predictable and clichéd list I’m afraid and one I will keep to myself – and quietly observing some of the things that led me to flee. I also noted the things, dozens and dozens of things, I missed about Rome! Rome my home. I’ve just spent another two weeks in England, it was long overdue and it was good to be back. There were generous doses of people and things I miss. There was also rather more of the things I don’t miss than anticipated! Which is fine, it’s good to be reminded. I also ate, cooked and shared plenty of really good English food, (and some not so good, but that’s fine, it’s good to be reminded.) One particularly nice, low-key supper was cooked by my mum last Monday. Dad and I had been to Magic Voices, which is – and I quote – ‘a contemporary choir created by renowned Musical Director, Andy Rumble.’ It was the singularly most bizarre and joyful evening of my visit. Singing it seems, suits me. Happy, harmonized and humming ‘Bring him Home’ we arrived home to a blazing fire – gas I hasten to add, but blazing no less -and mum bearing three glasses of Hugel Riesling and one of my favourite suppers waiting patiently on the AGA:, a truly, deeply good and nostalgic supper: Cauliflower cheese. Now I imagine we are all well acquainted with cauliflower cheese! But just case you aren’t! Let me introduce you? Cauliflower florets are boiled until tender in well-salted water, arranged in a well-buttered baking dish, covered with a fearless quantity of well-made white sauce (béchamel) that has been enriched (even further) with cheese. The smooth glossy sauce is topped with breadcrumbs and more grated cheese and then baked until golden, blistered and bubbling at the edges. Well, well, well it’s just delicious. I made it again two days later for lunch with Dad, my sister Rosie, nieces Beattie and Freya and my bonny and extremely dramatic son. I took time over the white sauce, infusing the milk with a bay leaf and a clove studded onion and then letting the it bubble and burp away contentedly for a good half hour. It was worth it. I remembered that when we were little my Mum sometimes scattered a tin of butter beans over the cauliflower florets. It’s an addition I can highly recommend: the soft, plump and nutty beans making the dish even more pleasing and substantial. Now about the cheese, most cheddar works well, but best of all is a mix of strong English cheddar and bold piquant Italian parmesan. Strong English and piquant Italian, ah yes, I know it well! Remember, be generous with the salt and pepper. I boiled some Curly Kale. Once it was tender but still as resistant as I am to life on a Monday Morning (quite), I drained it and tossed it with butter and coarse salt. It made a good, green and toothsome companion to an otherwise very beige lunch. 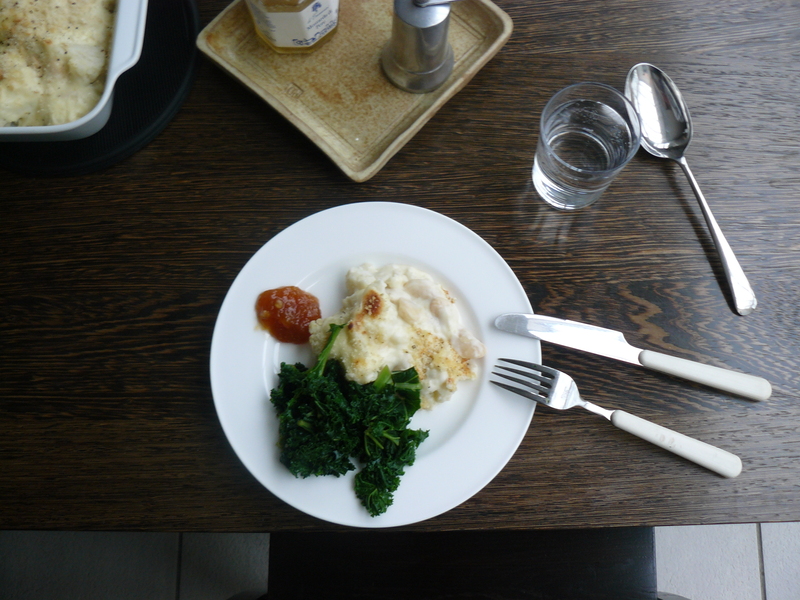 I had a dollop of mango chutney beside my cauliflower cheese! Strange I know, but very nice. Adapted From Jane Grigson’s recipes in English Food and The Vegetable Book. In a small pan bring the milk, bay leaf and onion studded with cloves slowly to the boil. As soon as the milk starts to rise in the pan, turn it off and leave it to sit and infuse for 15 minutes. 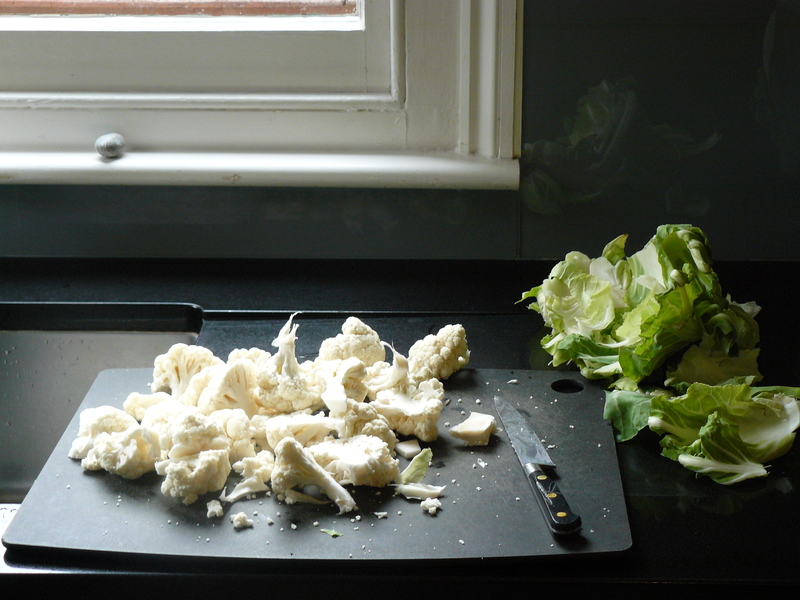 Break the cauliflower into large florets. 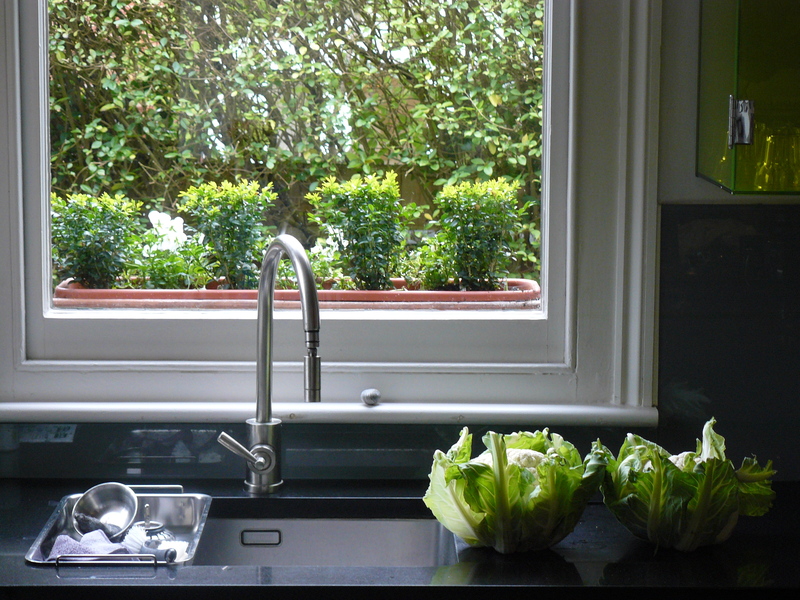 Bring a large pan of well salted water to a rolling boil and then drop in the florets. Boil the florets for about 5 – 8 minutes or until they are tender to the point of a knife. Drain the florets carefully so as not to break them. Arrange the florets in a baking dish, scatter over the drained butter beans, pour over the cheese sauce and dust the surface with breadcrumbs, the remaining cheese and a few dots of butter. Bake for twenty minutes or so or until the surface is blistered and golden and the sauce is bubbling at the edges. What I love about your site is where I would simply say, “I’ve been missing my family,” you write so eloquently and thoughtfully that it leaves me thinking about homesickness and comparisons in a new way. Lovely post, Rachel. Mmm, something so, so perfect about this post on a Maudlin Monday (in NYC, at least). Thanks for sharing, dear. Thanks ladies. Maudlin monday – I like that very much. Yea please – cottage pie and rice pudding thank you very much. If I wasn’t making your butternut squash risotto for supper tonight, I would rush out for a colly and maky this now. My Mum used to sprinkle the top with very crispy bacon, crumbled into chunks. Not having the bacon in the fridge, I made it last year with fried cubes of chorizo. It is always a great dish and loved by all the family. Thank you for your lovely post, very warming for those of us in cold, rainy England. Hm–strong English and piquant Italian–it sounds as if you’ve found the perfect combination for your life and for cheesy cauliflower. Enjoy! I loved this post. As a Canadian who moved to Rome four months ago, I’m still firmly in the “everything is perfect, I miss absolutely nothing” stage, but I know at some point I will start to see Rome’s flaws and yearn for a thing or two about Canada – hopefully the advice in this post will help me push through that stage with perspective and the right attitude! Also, lovely recipe, as always! I discovered your blog through a food search, but I would linger here langorously for hours just devouring your prose. Your writing is some of the very best anywhere. I understand exactly that feeling – I moved from England to Ireland eight years ago, and while most would consider there to be very little difference between the two, there are indeed so many things that I gradually began to miss as the years rolled on. Pork pies, Scotch Eggs, my mother’s Macaroni Cheese and Jacket Potato with Baked Beans, Diet Dr Pepper(! ), Yorkshire accents, Cockney accents, and a great many other things. And I too, when visiting what I still called “home” (though absent-mindedly), noted the flaws of both cities, but felt more keenly the loss of Dublin during my absences. Your writing is lovely, Rachel, and does indeed “take me back” to what used to be home, and what will always be within me somewhere, tucked away. Pork pies! scotch eggs! I am now feeling slightly upset I didn’t have either while back in London. It sounds like you understand, Thank you for taking the time to let me know. I can really relate to your observation about the irony! In Italy you always have to add “sto scherzando” (I am joking) but then the joke is gone, isn’t it really?! I cannot understand how it took you so many years before you started to miss England, Italians usually drive me nuts after a couple of weeks 😉 But then some months later I have adjusted to their pace and their saper vivere and then it is just great. I guess the only way to cope when living abroad is to have some really good and honest friends like you have! They can always put things back into perspective! You clearly know and understand! Good friends are vital as is wine and excellent cheese. I can well imagine that push-pull of place, where we are from vs. where we are now, especially, as Kath wisely points out, with a child on the way. Good for you to follow those feelings through, and find a kind of balance. now, about this cauliflower–it is so much like a dish my dad would make, long ago. I had forgotten about it. His bechamel was made less artfully, no bay leaf or clove studded onion in the pot (which sounds amazing) but I know how luxurious this cauliflower cheese can taste. Sounds fabulous. 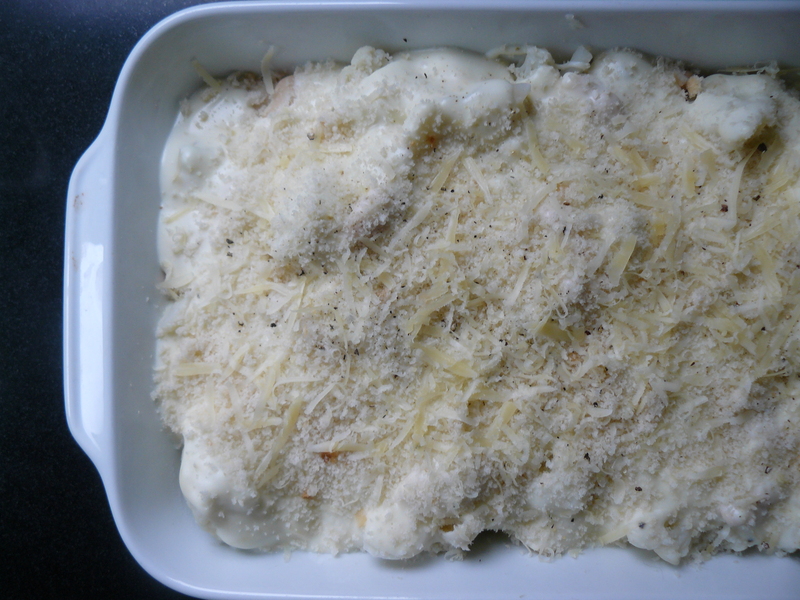 I’ve never thought of having cauliflower cheese for supper but it his recipe is top of the agenda for the next time we have a little more than the nibbles at supper time. My plaesure. I think it’s a great supper, especially for one of these cold, damp, dark nights. As some one sitting at home on a cold, dreary Chicago evening whose dreams would come true to be living in Rome, I LOVE your post to remind me that the grass is always different wherever you are; not always better or worse, just different; but then that is why we dream and move and journey around this earth. It is the love in our hearts for certain people and certain foods that make it all so worth it.. Now, I AM making this Cheesy Cauliflower for dinner this week as a cold blast blows through town! We are having plenty of cold blasts in Rome too. It’s the ridiculously short days I find hardest. I know i have just talked all about my missing but Rome really is stupendous. thank you for such a thoughtful comment. I shall be reading your post many times over and absorbing the emotions therin. I arrived in Australia a N European teenager at a time it WAS England with everything you describe. Mulitcultural ways have changed all that, and I basically love to be just where I am. But having been fortunate to augment my nonexistent ‘Britishness’ many a time on visits to the ‘Home Country’ I so understand those OTHER feelings which at some times in some ways creep into one’s mindset!!!!! Oh to be in a Surrey pub with a pint come next Sunday morning . . . . Thank you for your thoughtful writing about home and away and what becomes home . . . We are just thinking about whether my husband will pursue his PhD in another country (we are Canadians) and while we look forward to the adventure, we know it will also be filled with jolts of surprise about how different another world is . . .
Oh, wow, Rachel! What a splendid post with beautiful reflections on life which one often makes all about what one doesn’t have rather than about what one does have. You make me miss Rome (where I have lived) and England (where I have only visited – oh, for Daunt Books and well-swept pavements!). When I moved permanently to Florence, centuries ago, I missed very little about the US except for family, but I did briefly experience the ohmigod-my-children-will-study-Dante-instead-of-Shakespeare moment. Bless your wise Roman friend … and thank you for the splendid photo of your bonny son and his very bonny mother. 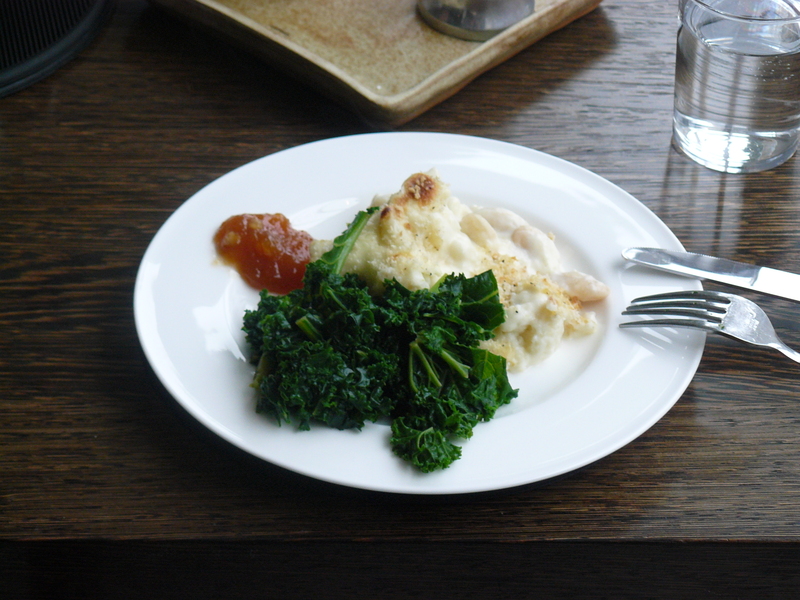 Fellow lover of cauliflower cheese here – in fact pretty much anything with cheese sauce!! Hasn’t Luca turned into a bonny little boy and how nice to see a photo of you with him. I was brought up in Ireland (but now live on the Isle of Wight and every now and again I make bacon and cabbage with big floury potatoes and parsley sauce. Just for old time’s sake. Parsley sauce, I love parsley sauce. It sounds like we are united in our love of cheese sauce too. ha ha, you both clearly understand. My husband, who is British, used to make cauliflower cheese, delicious! But then he developed high cholesterol and almost had a heart attack, so no more cauliflower cheese. I, however will give it a try (when he is away). A nice winter meal. Thanks for the reminder. Then I think this is the supper for you…..
As an expat for nearly 9 years, I heard echoes of my own longing for home in this lovely post. Having a child and wanting them to know and understand their parent is now part and parcel of that for me. I’ve made enough trips home over that period to know that England is no longer my home, but where I am from, and, like you, it helps me to acknowledge that the tension between homesickness and happiness with the decisions I’ve made is here to stay. 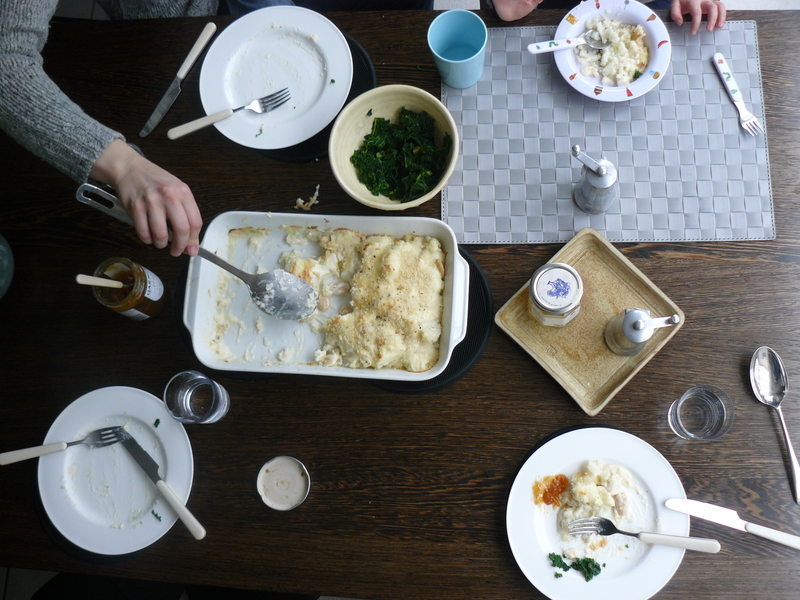 We made cauliflower cheese in October just after my Dad’s visit when homesickness was in high gear. 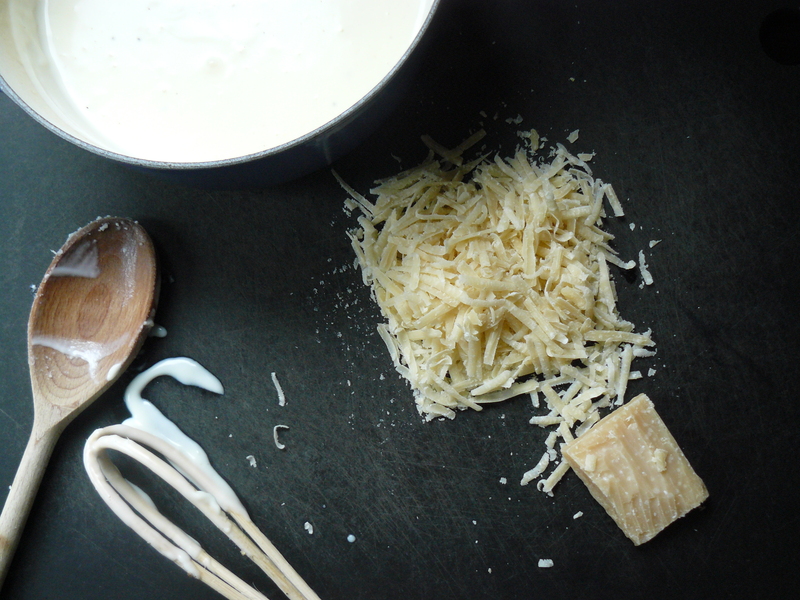 Whether it was the Englishness or the richness of the bechamel, I was instantly becalmed. I thought about you both (I mean three) when I was writing this because during a word lull I read your trifle post (stupendous stuff). So that makes us almost expat twins (I have been here 8 years). Really hope we get to have a pint or a campari together one of these days. We would love it. It’s coming up on 6 years since our last trip to Rome, so much so that our inlaws are even threatening to organize a replay of the last, glorious three-week sojourn in 2014, giving us about enough time to save the requisite pennies. 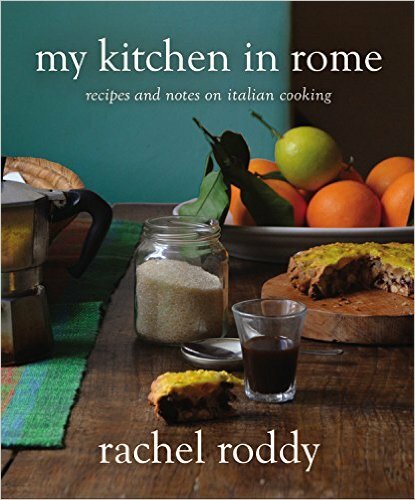 Speaking of Rome, we’ve recently been enjoying this: http://cucinadigitale.com/ though for you it might be a busman’s holiday. By the way, a thousand apologies for our rudeness to your message a while back on Facebook. I thought Amy was going to respond and she thought I had. Welcome to the world of ‘third culture’ … where one plus one adds up to more than the sum of the parts and where Proustian memories span more than just time. I loved your post (as usual) and the recipe … was surprised about comment re lack of irony in Rome? Romans are known for their dry wit … what gets lost in translation I wonder. I think that the English class system might offer a partial answer … whatever else might said of it, it is a pretty ‘clear’ system (for those who understand it). The cultural sub-divisions in Rome are less black-and-white … Keep the posts coming! Third culture I like that. Maybe you are right and my shoddy Italian means I lose something. That said, I have found what I have understood of the Roman (ruthless) dry wit very different to sharp British irony. Coming to E mail as I really hope we can meet sometime soon. Came here for a bit of your special breed of calming-cheer today as I am feeling a little homesick, only to find you talking about that exact thing! While I wish I could pop home for a visit to remind myself of New Zealand’s reality like you did, I will have to settle for an appreciation of sunny Santiago and lots of Latin (and Italian) cooking for now. Sunny Santiago, I’ll type it again Sunny santiago, my god I could do with some sunny anything. Glad we are in tune. that is, hands down, the best account of kale cookery i’ve yet to come across. So lovely. Your words went straight to my expat heart. Now if only I could get some decent cheese and kale…. Hi Jess, it’s so nice to be understood, which judging by your super blog you really do. p.s. Rachel … what happened to your recipe for double chocolate brownie cake? I tried to click on it and get a “not available” message. looks and reads good, like all your recipes! Thank you, Rachel. As a Brit in America this absolutely resonates! We miss things regularly, especially a good cup of tasty tea! At the same time we’ve collected so many great memories and experiences. You can take the Girl out of England, but you can’t take England out of the girl! So true and while some of my friends go native I seem to become more English. And yes to tea, as much as I adore coffee, Tea tea tea for me. This post is so glorious because I recognise all of these feelings, being torn between different cultures and you have one of my all time favourite dishes cauliflower cheese. When I lived in France, people were horrified watching me add cheese to a bechamel sauce because they only allow a pure gratin. I love all the things you miss about England, even though I’m aware that I’m setting myself up for a fall because there are the negatives which we won’t mention. I can totally understand you staying in Italy. Coming back is bittersweet and I honestly wonder how things will work out long-term here, if I can really settle but in the meantime, I prefer to enjoy hot buttered crumpets and read the Guardian. P.S Message received about photos from Kew. I’m working on it. Oh and Happy New Year to you and Luca! Thanks Emily and Happy New Year to you too. I already suspected we had lots in common, now I know. Bittersweet is the right word. I’ve also found coming back can accentuate ‘missing’ because you feel slightly removed from things that were once so very ordinary. Hot buttered crumpets and the guardian – yes please. Kate – I love that you clearly understand both butter beans and damp locks. The Italians think I am barmy and not only do I go out with damp hair, it is curly too (which would of course be straightened away with a good blow-dry) so obviously I care nothing about my appearance. Oh, and butter beans. A staple from my childhood. I haven’t eaten butter beans in—I don’t know how many years. Luckily I have a hefty cauliflower waiting for me in the icebox. A staple from mine too, I love them in tomato sauce. Grim weather here, roll on Spring and visits…. Ah, in sauce. Of course! Primavera…Non posso aspettare. rachel. thankyou for stopping by! i can totally identify with so much of your experience in this post! i always idealize australia when I go back for a holiday. and when you realize you need to settle in one place all its negativity oozes out. and rome doesn’t make it easy for you (especially in the last few years!) but the mercato rionale, with its copious offerings of smoked hams and carpaccio di pesce spada and smiling round faces, is always a good cure for the rome blues. what timing – I was just (this minute) E mailing a friend about your work! It sounds like you really understand and yes the last few years have been particularly hard for Romans and non-Romans alike. I’ve found the new testaccio market – I went to the old market nearly every day for 7 years – particularly hard to deal with. The new one however is starting to feel a bit more like home. Now your illustrations! Well they are a cure for the blues per se. I really identified with your post. Beautifully written. I’m very wicked with my cauliflower cheese. I tuck quartered hard-boiled eggs among the florets before I pour over the cheese sauce, then garnish with a few rashers of crispy bacon. OR I add lightly-fried chorizo and prawns; I think this would be spectacular with the butter beans your Mum adds. I know it’s gilding the lily, but I can’t help myself. Well that sounds like supersonic caulifower cheese, I particularly like the idea of the hard-boiled eggs – noted – thank you Lisa. Thank you! I had completely forgotten about this food from my childhood. Definitely having some cauliflower and cheese this week.